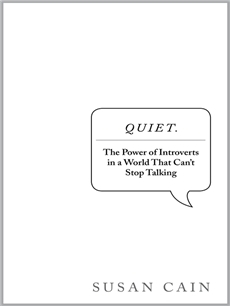 In Quiet: the Power of Introverts in a World that Can’t Stop Talking, Susan Cain describes how the contemporary world is oriented towards what she calls the Extrovert Ideal: from a very young age, we’re taught that being an extrovert is desirable, while being an introvert is something that needs to be fixed. Introverts learn that to advance socially and professionally they need to be able to at least pretend to be extroverts – if they can’t, they’ll find that many doors are closed to them. The most obvious consequence of this is that introverts end up feeling constantly inadequate, but Cain suggests something more: a business culture that values the skills associated with extroversion and the expense of those that go along with introversion will only end up hurting itself. In the many situations in which caution, thoughtfulness and slow deliberation are necessary, there will be few people around who take such an approach. Quiet is mostly focused on American society in general and on the American business world in particular, but the Extrovert Ideal is widespread enough in Western culture that much of what Cain describes was familiar to me. I was hoping this book would be particularly valuable for me at this point in my life, and it was: it’ll probably come as no surprise to most of you to hear that I’m a huge introvert, and I’ve often been told that the trouble I have networking and putting myself out there is the main reason why I’ve completely failed to advance professionally. While this may well be true, hearing it repeatedly isn’t exactly pleasant, especially when, unlike what people seem to believe, changing this isn’t necessarily just a matter of trying hard enough. It was comforting to see someone say that the problem isn’t that there’s something irrevocably wrong with me, but rather that the world is biased against valuing the kind of skills someone like me does possess. At the same time, Cain acknowledges that we can’t just snap our fingers and make this bias go away, so she offers a lot of practical advice to help introverts make the most of their strengths and learn to triumph despite the pervasiveness of the Extrovert Ideal. Of course, the Extrovert Ideal is not entirely a modern invention. Extroversion is in our DNA—literally, according to some psychologists. The trait has been found to be less prevalent in Asia and Africa than in Europe and America, whose populations descend largely from the migrants of the world. It makes sense, say these researchers, that world travelers were more extroverted than those who stayed home—and that they passed on their traits to their children and their children’s children. “As personality traits are genetically transmitted,” writes the psychologist Kenneth Olson, “each succeeding wave of emigrants to a new continent would give rise over time to a population of more engaged individuals than reside in the emigrants’ continent of origin. Kagan has given us painstakingly documented evidence that high reactivity is a biological basis of introversion, but his findings are powerful in part because they confirm what we’ve sensed all along. Some of Kagan’s studies even venture into the realm of cultural myth. For example, he believes, based on his data, that high reactivity is associated with physical traits such as blue eyes, allergies, and hay fever, and that high-reactive men are more likely than others to have a thin body and narrow face. Such conclusions are speculative and call to mind the nineteenth-century practice of divining a man’s soul from the shape of his skull. But whether or not they turn out to be accurate, it’s interesting that these are just the physical characteristics we give fictional characters when we want to suggest that they’re quiet, introverted, cerebral. It’s as if these physiological tendencies are buried deep in our cultural unconscious. Take Disney movies, for example: Kagan and his colleagues speculate that Disney animators unconsciously understood high-reactivity when they drew sensitive figures like Cinderella, Pinocchio, and Dopey with blue eyes, and brasher characters like Cinderella’s stepsisters, Grumpy, and Peter Pan with darker eyes. In many books and Hollywood films and TV shows, too, the stock character of a reedy, nose-blowing young man is shorthand for the hapless but thoughtful kid who gets good grades, is a bit overwhelmed by the social swirl, and is talented at introspective activities like poetry or astrophysics. (Think Ethan Hawke in Dead Poets Society, or any number of Beauty and the Geek contestants). Kagan even speculates that some men prefer women with fair skin and blue eyes because they unconsciously code them as sensitive. It is of course to Cain’s credit that she readily acknowledges the parallels between Kagan’s speculations and the 19th century phrenology fad, but I found it disheartening that she went along with the idea anyway, as if there just might be something to it after all. The realm of cultural myth she’s entering here has a lot of baggage in terms of race and power dynamics: associating pale, blue-eyed people with prestigious, “civilised” traits such as sensitiveness and thoughtfulness is indeed nothing new, and neither are the racist stereotypes that claim that these traits are lacking in brown-skinned, dark-eyed people. If someone is ready to subtly suggest that there just might be echoes of truth in these ideas and that these echoes have caused them to become part of our “cultural unconscious”, I would like them to be equally ready to address the racist implications behind this. I decided to track down Professor Kagan to ask him these questions in person. I felt drawn to him not only because his research findings were so compelling, but also because of what he represents in the great nature-nurture debate. He’d launched his career in 1954 staunchly on the side of nurture, a view in step with the scientific establishment of the day. Back then, the idea of inborn temperament was political dynamite, evoking the spectre of Nazi eugenics and white supremacism. By contrast, the notion of children as blank slates for whom anything was possible appealed to a nation predicated on a belief in democracy. We should never deny facts because we don’t like them. The problem with naturism is not that it is politically incorrect. The problem is that naturist conclusions are too often based on inadequate science. They tend to overlook evidence for variation and base strong conclusions about biological sources of behaviour on limited evidence. By ignoring cultural factors, naturists reify aspects of behaviour that are shaped by experience. Yes, a lot of the time these ideas also happen to have disturbing political implications, but this is neither an unfortunate coincidence nor a reason to censor them: it’s rather a symptom of the fact that they’re the result of extremely common cultural biases; cultural biases we’re blind to to such an extent that we think of them as “natural”. Again, to be fair to Cain, she does discuss many of the questions posed by nature-nurture debates, and she does consider other possibilities and explanations. She also never actually claims that genetics are destiny, and acknowledges the roles of plasticity, flexibility, and experience. I agree with her completely when she says, “maybe the mystery of what percent of personality is nature and what percent nurture is less important than the question of how your inborn temperament interacts with the environment and with your own free will”, and “we have free will and can use it to shape our personality”. However, there were still many instances in Quiet where Cain leaned more towards naturism than I think the data alone merited. Having said this, I think I understand where Cain is coming from: what she’s trying to do in Quiet is gain more acceptability for introversion and counter the harmful myth that to be an introvert is some sort of character flaw that people can (and indeed should) change if only they try hard enough. And unfortunately we live in a world that tends to equate “not hardwired” (at least to some extent) with “not actually real”. I’ve had this conversation often enough when it comes to gender: it can be very difficult to explain to people that not believing there are innate personality differences between men and women doesn’t mean I’m denying that men and women have extremely difference life experiences as a direct result of gender; or that seeing femininity as a cultural construct is not the same as denying that its constant devaluation is a very real and pervasive problem. Perhaps we can see some parallels here: whatever its origins, introversion is real, and so is the cost of its devaluation in a culture that favours the Extrovert Ideal. I really appreciated Cain’s empathy and her efforts to validate introverts’ experiences, preferences and behavioural patterns, even if I sometimes felt that she ended up unwittingly idealising them a little too much. Thoughtfulness, rich inner lives and emotional complexity don’t belong to introverts alone; again, Cain does acknowledge this, but she sometimes gets carried away and ends up implying the reverse. As I said earlier, I found many of the ideas and practical tips in Quiet very useful. The book is simultaneously accepting and pragmatic: it tells readers that it’s okay to be an introvert, but it also offers them sensible advice about how to deal with contexts in which this will continue to be seen as a disadvantage. I was particularly interested in the idea of “personal projects” and in Cain’s suggestion that it’s far easier for introverts to get themselves out there if they’re doing it for things they truly care about. I was immediately reminded of the fact that the only time during a whole year of grad school where I happily and unselfconsciously joined a classroom debate was when we were discussing gender and reading. On the other hands, there are my memories of disastrous job interviews for sales positions I’m just not deeply invested in, and where all the desperate need to make things work in the world wasn’t enough for me to be able to convince others that I was a competent and enthusiastic candidate. Cain explains this in terms that leave personal failure aside, and that was something I very much needed to hear. In sum, Quiet is a useful book that introverts or those who have one in their lives (and who doesn’t?) will find interesting, useful, and reassuring, even if some sections should perhaps be taken with a grain of salt. I just bought this book on audio for my husband and I to listen to. We are both introverts, but I am the more social of the two. He is a very clear introvert who doesn't like to have many dealings with others, but I am somewhat extroverted when it comes to people I know well, or subjects that I love. I scanned this review, as I want to go into this book blind, but will be back to read it when I can! I've been curious about this book since I'm also an introvert who could use some help. ;) Thanks for such a thoughtful and thorough review, if I do get a chance to read it, it will give me a lot to think about. I really enjoyed reading your take on the book! 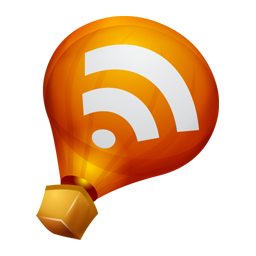 You have a way of digging out and discussing some interesting points particularly the nature/ nuture stuff. I glossed over a lot of it because I think both play a role in making us who we are and I didn't want to get lost in the back and forth. But thanks for pulling my attentin back to it because as you pointed out there are a few worrisome things in there. I liked this book quite a bit, but I hadn't given much thought to the essentialist side of her argument. One thing I did notice through the book is that while she did a good job acknowledging the complexities of what she was talking about, but then her examples and anecdotes would end up supporting the stereotypes or the most simplistic views. It was annoying sometimes, but didn't take away from the overall value of the book. I have liked the idea of this book on the grounds that I am an introvert and I get tired of people saying things like that I hate fun (I don't! I just find it draining after a while. ), but I've also been wary of it because it looked a little...something. Not quite reliable. Nice to hear my instincts were correct. The book sounds really interesting. I've met both Heather and Amyu and wouldn't call either of them introverts. I checked the website for this book out a few months ago and it seemed a little too pseudo-scientific. Maybe if the library gets it, I'll read it. Sounds like an interesting--and valuable!--book. I really enjoyed Introvert Power by...I think the author is Laurie Helgoe, something close to that. It sounds like it's similar; she tackles a lot of ideas about social interaction that are presented as universal truths but are really cultural notions. She had a new way of looking at some things for me. I remember it as being more anecdotal, less scientific. Really good review, Ana. I've been meaning to look at this book, attracted by the title, of course! It took me a long time to realize I was an introvert, and I've had problems advancing in my career because of interviews - I pass the examns, it's the speaking part that I suffer at. I do wonder, do personality quizzes and tests come up in this book? Does she discuss Jung's theories of the personality? or Myers-Briggs? Both of which suggest nature is the key ingredient - you are born an introvert or an extrovert; you can learn something of the other, but it doesn't come naturally, and it tires you out more quickly when you act out of the opposite to your natural tendency. This I believe having tried to be an extrovert for years, to fit in, and when I finally realized what I am, I was so happy to give myself permission to not do all the social things expected of me. Since introversion and extroversion are how we relate to the world, see it, experience it, process it, it's not something that can be taught, I think. I'm definitely going to be looking for this book at the library! I'll watch for the issues, and there are certainly some trigger points for me in this book (I disagree with the blonde, blue-eyed think for instance that she talks about....). This book has been on my radar for a while, so I'm glad to hear you enjoyed it. I read The Introvert Advantage, which covers some of the same ground, I would imagine, and really enjoyed it. She also says that introversion is innate and provides some evidence for there being differences in the brains of introverts vs. extroverts. I thought it was pretty interesting stuff, but hadn't really thought of it in terms of being essentialist. However, I did find that she also slid into idealizing introverts on occasion and also seemed to forget sometimes that people fit along a continuum of more or less introverted/extroverted, as opposed to being either at one end of the spectrum or the other. Anyway, all this to say that I now want to read Cain's book more than ever! You know how badly I want to read this, or I think you might have gathered it from our email exchanges ;) I am very sorry to learn about the "nature" arguments. Those passages you quoted do remind me of broad cultural bias. Especially if you consider how Africa and Asia are often directly equated with the spiritual and philosophical, while Europe and America are equated with entrepreneurship. It's just a little bit too easy (and therefore a little scary) in my opinion. While I may be biased because I too am introverted, I find it so sad that one half of society is being treated as abnormal. There's nothing wrong with being quiet, and so often you remember a lot more about a person because you've listened so well - and they are surprised when you're later able to converse about things they thought no one had been taking in. I reject the biology theory completely, I'm an introvert in a whole line of extroverts. And denying facts because they don't fit politically will just cause issues in future. I have been hearing good things about this book. I will probably see what I think at some point. I recently started researching the relationship between introversion and educational success. Our classrooms really emphasize extroversion with a focus on group activities and presentations as well as participation point for speaking out in class. I want to work on this in my own teaching : work on not "punishing" the introvert while simultaneously encouraging introverts to be more vocal and extroverts to - for lack of a funner word - shut the heck up. Maybe I'll pick this one up to see if it has any ideas for me. Great review - I really like the way you relate the book to your own experiences. I have been interested in reading this book for a while as I can be very introverted, but some of the passages you quoted put me off a little (especially the passage on Disney films and blue eyes!). However, I do like the idea of practical tips for introverts so I think I might find it worth reading overall. I find that being an introvert causes me most difficulties at work - not with the actual work I'm doing but with sitting all day in a big office and being expected to speak up and join in group conversations. However I do appreciate all the good things about being an introvert too. Thanks for the very interesting review. As a fellow introvert to whom small talk and 'networking' induce a near-panic state, I appreciate your review! not sure that I'll read this but practical tips might be nice. I'm definitely at risk of the professional leave-behind because I can't speak up often. Excellent take on the book - I finished reading it a month or so ago and still have not gotten around to reviewing it (pesky life and all), but it's funny that you highlight that passage about Kagan and the physical traits that are assumed to be associated with introversion, all being very white, western traits. I had highlighted the passage with the same reservations about race implications, especially since she seems to suggest that Asian cultures have a higher rate of introversion and most would not share these physical characteristics. Your points about the essentialist point of view she takes are also spot on - that made me uncomfortable as well, as does anything that claims traits can be "hardwired" but I agree that with the current way of thinking in western culture, it is very challenging to impossible to argue for tolerance if there's any inkling that a trait might be changeable (I'm thinking of sexual orientation in addition to gender and race stereotypical traits here). At any rate, I also enjoyed the book for validating my introversion, although sometimes society's refusal to value such traits was disheartening and made me feel as though I really would have to start faking it to be successful. And other than the shortcomings you point out, I found it to be well-researched and thought out. Hopefully I'll get around to actually fleshing out my thoughts soon! Anywhoo, all this to say that I’ve always been curious about these social interactions, so this book seems just the thing. Thanks for flagging! Great review. My husband keeps pointing this book out to me but I keep pushing it away. Maybe I should read it. I'm an introvert in a US city full of extroverts. Everyone here loves a good networking opportunity and I do my best to avoid anything resembling that opportunity. I think the reason I kept pushing this book away was that I didn't want to hear what I already know about myself. I've figured out ways around things and have become much less shy over the years but I guess I thought this would be more reinforcement of the argument that you just need to get out there, which let's face it, if you're an introvert, that's the worst thing someone can say to you. Sounds like it's not what I thought. Maybe I'll reconsider. Great review - I'm putting this on TBR list. I read this book, and found it very interesting, btu at the same time, as you say, perhaps a bit over-idealizing (the book "The Highly Sensitive Person", which this book references several times was the same way, though equally interesting nonetheless). It almost felt as if she feel into the very boosterism and 'gung-ho' spirit that she seems to be condemning in America's culture of personality, only directing towards a different personality type. I would agree that introversion predisposes one to different strengths, but I felt like she implied connections between extroversion and artificiality, callousness, and emotional blindness, that I think were unfair and unhelpful at times. Thank you for your thorough review. I read a lot about this one a few months ago and it seemed like it was all over in the press and media and somehow much of the really important details about this one were lost. This is a much deeper inquiry into the subject that I thought and well worth reading even if it all doesn't add up.